"This book exemplifies one of the most successful approaches to modeling and simulating [the] new generation of complex systems. FLAME was designed to make the building of large scale complex systems models straightforward and the simulation code that it generates is highly efficient and can be run on any modern technology. FLAME was the first such platform that ran efficiently on high performance parallel computers and a version for GPU technology is also available. At its heart, and the reason why it is so efficient and robust, is the use of a powerful computational model ‘Communicating X-machines’ which is general enough to cope with most types of modelling problems. As well as being increasingly important in academic research, FLAME is now being applied in industry in many different application areas. This book describes the basics of FLAME and is illustrated with numerous examples." Agent-based models have shown applications in various fields such as biology, economics, and social science. Over the years, multiple agent-based modeling frameworks have been produced, allowing experts with non-computing background to easily write and simulate their models. However, most of these models are limited by the capability of the framework, the time it takes for a simulation to finish, or how to handle the massive amounts of data produced. FLAME (Flexible Large-scale Agent-based Modeling Environment) was produced and developed through the years to address these issues. 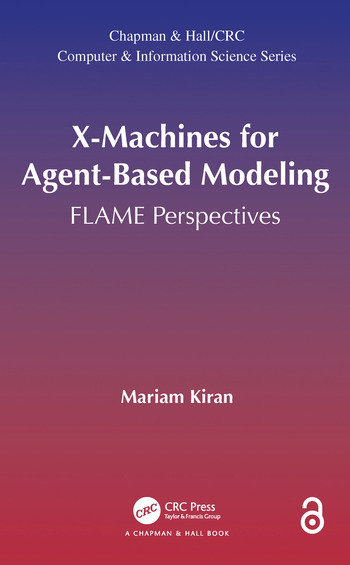 This book contains a comprehensive summary of the field, covers the basics of FLAME, and shows how concepts of X-machines, can be stretched across multiple fields to produce agent models. It has been written with several audiences in mind. First, it is organized as a collection of models, with detailed descriptions of how models can be designed, especially for beginners. A number of theoretical aspects of software engineering and how they relate to agent-based models are discussed for students interested in software engineering and parallel computing. Finally, it is intended as a guide to developers from biology, economics, and social science, who want to explore how to write agent-based models for their research area. By working through the model examples provided, anyone should be able to design and build agent-based models and deploy them. With FLAME, they can easily increase the agent number and run models on parallel computers, in order to save on simulation complexity and waiting time for results. 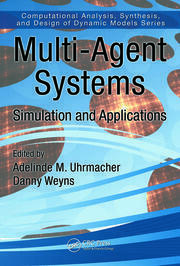 Because the field is so large and active, the book does not aim to cover all aspects of agent-based modeling and its research challenges. The models are presented to show researchers how they can build complex agent functions for their models. 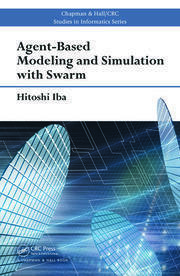 The book demonstrates the advantage of using agent-based models in simulation experiments, providing a case to move away from differential equations and build more reliable, close to real, models. The Open Access version of this book, available at https://doi.org/10.1201/9781315370729, has been made available under a Creative Commons Attribution-Non Commercial-No Derivatives 4.0 license. Is there Evolution at Work? How to run a model? Dr. Mariam Kiran is a well-recognized researcher in agent-based modeling, high performance simulations and cloud computing. She has published numerous papers in these fields, both, in theory and practical implementations, exploiting grid and cloud ecosystems for improving computational performance for multi-domain research. She has an extensive record of research collaborations across the world, serving as a board member for Complex Systems research in CoMSES, and several joint projects funded by European Research and UK Engineering Council. She is also active in education research of software engineering in team building and writing software for simulations. Mariam Kiran received her PhD in Computer Science from University of Sheffield, Sheffield UK in 2010. She is currently involved in many projects at Lawrence Berkeley National Labs, California, optimizing high performance computing problems across various disciplines. Prior to this, she was working as an Associate Professor at University of Bradford, leading the Cloud Computing research in the School.